On Thursday, Poroshenko’s wish came one step closer to becoming a reality. The draft bill of the US House-approved Stability and Democracy for Ukraine Act provides for ‘endless sanctions’ against Russia, calling for the “full implementation of the Minsk agreements” (to which Russia is not even a party) and the “restoration of Ukrainian sovereignty over Crimea.” Most significantly for Kiev, the bill also approves granting the provision of ‘lethal defensive weapons’ to Ukraine. If approved by the Senate, the bill would land on President Barack Obama’s desk for signature. Accordingly, Russian experts are asking whether the White House would really be irresponsible enough to take such a step, which could reignite the deadly civil war that has ravaged eastern Ukraine’s Donetsk and Lugansk regions over the past two years. The base consisting of three military facilities is the latest in a chain of new military sites, part of what the Kremlin sees as an important counterpoint to NATO. Up to 10,000 service personnel are expected to be deployed at the site which will reportedly house a motorised rifle division. And British Russia expert, Paul Robinson, discusses the relatively poor leadership of the Luhansk People’s Republic (LPR) – after an attempted coup there – compared to the Donetsk People’s Republic (DPR), and the possible implications for the future of the Donbass region. ….How about the situation on the rebel side? By contrast, the LPR appears to be bedevilled by corruption and political scandals. In 2014, self-styled Cossacks (some local, others from Russia), played an important part in the rebellion in the LPR. The regions under their control became notorious for banditry, and the Cossack leaders zealously defended their autonomy against any attempts to centralize power. The result was a series of violent power struggles, which resulted in the assassination of several prominent rebel leaders. Eventually, with Moscow’s support, Plotnitsky got the upper hand, but it would appear that attempts to concentrate power in the hands of the state authorities have been much less successful in Lugansk than in Donetsk. Today what VTB – the Russian bank that is now in charge of placing bonds internationally for the Russian government – said would happen in May, is actually taking place. The Russians have offered more bonds to the value of $1.25 billion, bringing the total of bonds they have offered this year up to the amount of $3 billion they said they would offer at the start of the year. Moreover with the question of the provision of depository services by Euroclear and presumably Clearview now resolved in Russia’s favour, there should be no further difficulties with this bond. Even Timothy Ashe – never an analyst to take an unduly positive view of events concerning Russia – is admitting that “Euroclear’s acceptance should make the latest issue easier”. As it happens reports are circulating that just a few hours after it was placed the bond had already attracted bids worth $3 billion i.e. it is already more than twice over-subscribed. “Placing a government bond is a massively complex operation. It is the job of the banks that manage the sale to place the bonds most advantageously on the market. That requires deep knowledge of the market in order to achieve the most effective outreach to potential buyers. There are also immense technical challenges in receiving and processing the bids, in deciding amongst them if the issue is oversubscribed, and in transferring the bonds to the buyers. A small number of Western banks have the necessary expertise to carry out such operations and do so with great efficiency. By contrast Russian banks like Sberbank and VTB have little such experience since by comparison with Western banks they are relatively small and have far shorter trading histories. The fact the latest bond was offered with no advance publicity – in sharp contrast to what happened with the previous issue earlier this year – shows that VTB is gaining in experience and confidence. 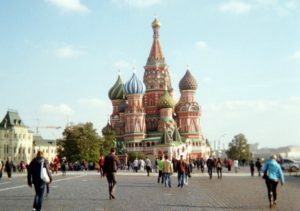 The increase was mostly due to tourists from Asia and Southern Europe, the Federal Tourism Agency told Izvestia, with Russia considered the safest destination. According to estimates by the Deputy Head of the Federal Tourism Agency Sergei Korneev, Russia is among the top ten most visited countries. In 2015, almost 27 million foreign tourists visited Russia, and it is expected that about 1.5 million people will come for the 2018 FIFA World Cup. The number of foreigners coming to the country as medical tourists is on the rise, and has brought the state billions of rubles in extra revenue, according to Igor Lanskoi, advisor to the Russian health minister, who spoke about the phenomenon in an interview with the business daily Kommersant. He noted that last year such travelers added from 7 to 10 billion rubles ($108-154 million) to the state budget. Earlier, Health Minister Veronika Skvortsova said that in 2015 the number of foreigners who underwent treatment in Russia increased fourfold in respect to 2014. Before, only citizens from the ex-Soviet republics would come to Russia to improve their health but now Americans are also becoming more and more interested in Russian treatments, according to David Melik-Guseinov, director of the Federal Research Institute for Health Organization. ….Experts surveyed by Kommersant FM underline that foreign demand for Russian medicine is growing because of the weak ruble. Treatment and the accompanying services in the country are now four times as cheap as they are in the West, said Yakov Margolin, general director of the Clinical Hospital in Yauza. “When someone wants to undergo treatment in his own country but his insurance doesn’t cover it, he gets angry and chooses to come to Russia since here he can receive the same medical services at a much lower price, especially outside Moscow. We have unique services for which people come to us, services in reproductive medicine, in which for relatively little money we solve serious problems, helping people have children,” explained Margolin. Fareed Zakaria’s recent interview of Petro Poroshenko sounded like a CIA investigation, but the culprit was rewarded, as planned.